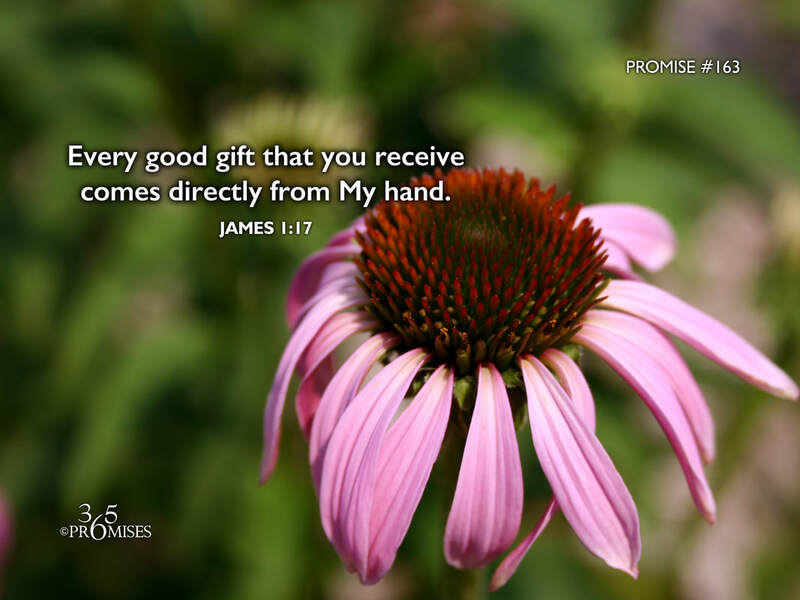 Every good gift that you receive comes directly from My hand. with whom can be no variation, nor turning shadow. Just think of this promise for a moment. God is saying that anything good that you receive in your life comes directly from Him. That beautiful sunrise, the twinkle in a loved one's eye, even that raise at work. All good gifts come from the one true Father. The Bible says that the sun shines on the just and the unjust. So that means His gifts are not just reserved for those who have received the free gift of eternal life. Every good and perfect gift comes from the Father of Lights. In James 1:17, it also says that God does not change like shifting shadows. He is the same yesterday, today and forever! Hallelujah for such a gracious, loving Heavenly Father who is a giver at the very center of His heart! In Matthew 7:7-11, Jesus encourages us to keep on asking, seeking and knocking because God is a good Father and delights to give good gifts to His children. Like any healthy father/child relationship, it breaks the Father's heart if we only seek Him for the things He gives us. The gifts He gives are really only the icing on the cake. The most amazing thing that we can ever receive from God is the gift of Himself! It humbles me to think of this promise. To think how kind and loving, and generous our Heavenly Father is. It just makes me want to run to Him again and again and thank Him for being so good to me!